Francine said she turned to photography while she was getting chemotherapy. 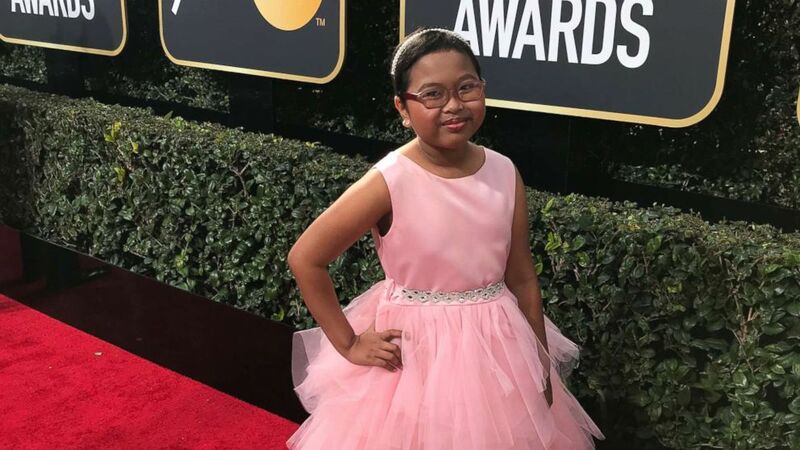 A fifth-grade girl with leukemia photographed some of Hollywood's biggest stars on the red carpet Sunday night at the Golden Globes. Francine Gascon, 10, told ABC News that photography became a source of hope for her after she was diagnosed with acute lymphoblastic leukemia. "It helped a lot," Francine said of photography. "Because when I was doing chemotherapy it actually helped me take my mind off of the medicines that I was taking." 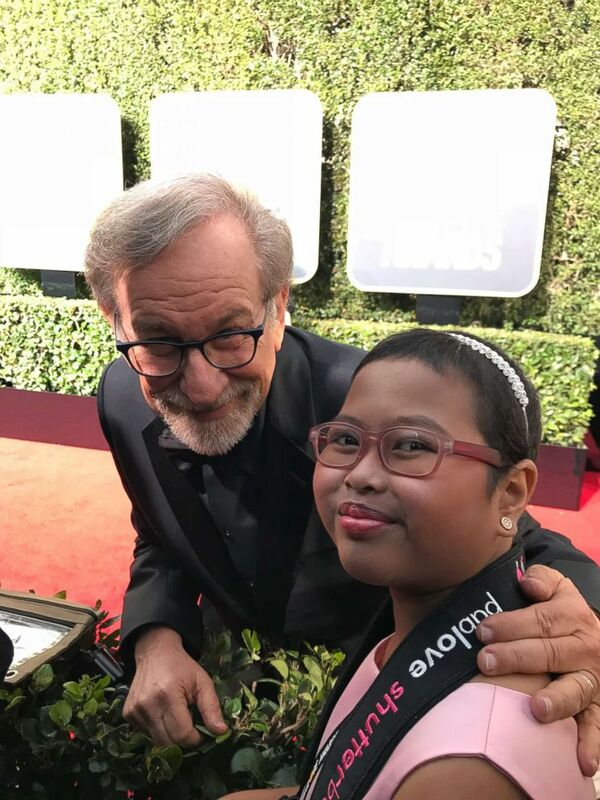 (The Pablove Foundation ) Francine Gascon, 10, poses with director Steven Spielberg as she takes photos of stars on the Golden Globes red carpet. She became interested in taking pictures after watching her two older sisters pick up the hobby and being introduced to it at the hospital by the Pablove Foundation's "Shutterbugs" program, which offers photography classes to children living with cancer. She showed so much interest that the Pablove Foundation sponsored her trip to capture the red carpet at the Golden Globes. 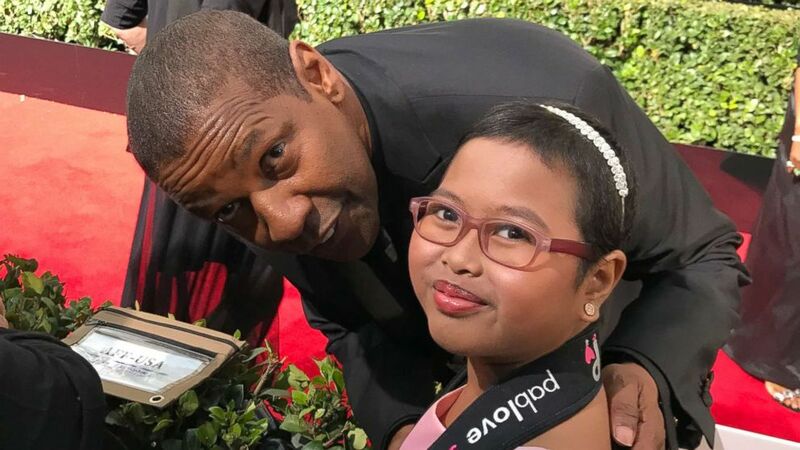 (The Pablove Foundation ) Francine Gascon, 10, poses with Denzel Washington as she takes photos of stars on the Golden Globes red carpet. (The Pablove Foundation ) Francine Gascon, 10, photographed some of Hollywood's biggest stars on the red carpet at the Golden Globes. Geraldine Gascon, Francine's mother, told ABC News that she calls her daughter "my little warrior" because of her resilience. "She knows what she is undergoing [and] she is really brave facing it," Gascon said. "And her being so positive in life, keeps me going." Gascon said she is thankful "to have my daughter experience what she is experiencing right now." "What she is going through right now, it is really hard, really tough," she continued, noting that the photography classes have "given her a lot of hope." "It really gave her the feeling of the value of being positive in life," she said. "She was encouraged to keep on going with her photography." Francine said she is "really proud of the photos that I’ve taken around my neighborhood." 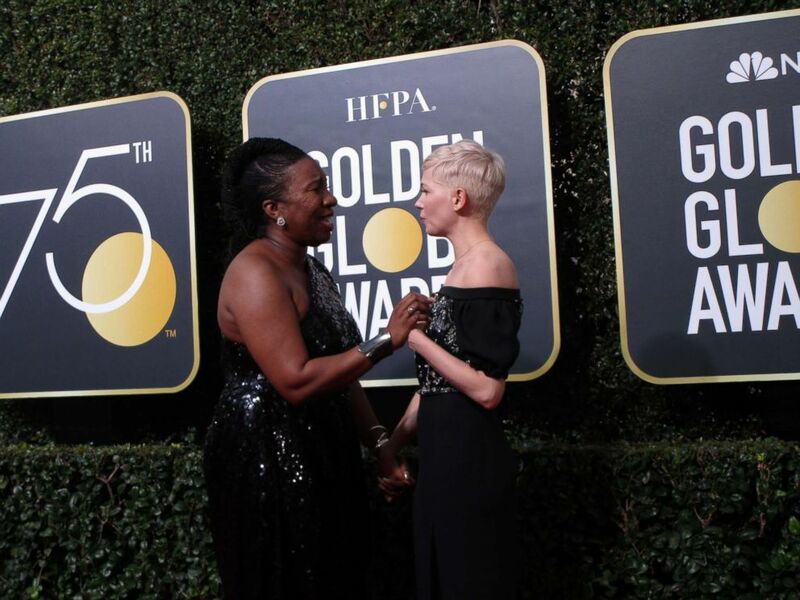 (Francine, Shutterbug at The Pablove Foundation ) Francine Gascon, 10, photographed a moment between actress Michelle Williams and "Me Too" founder Tarana Burke on the Golden Globes red carpet. 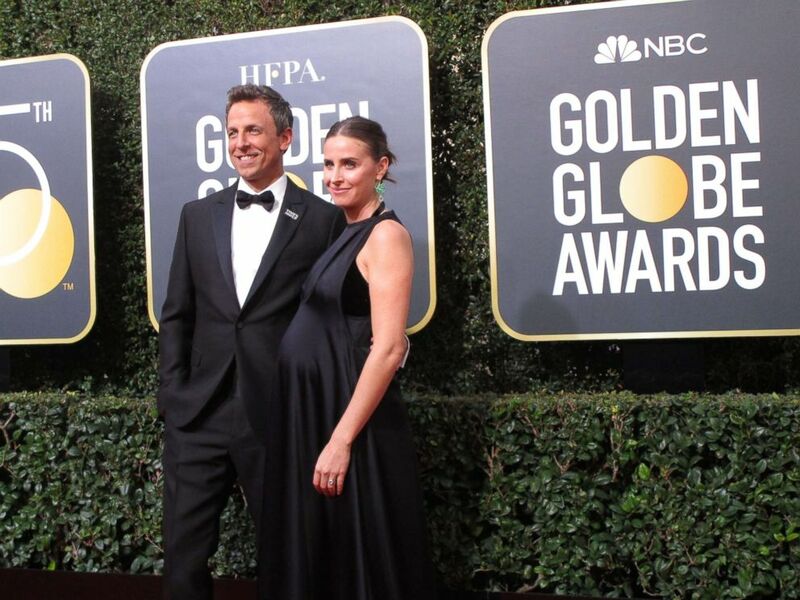 (Francine, Shutterbug at The Pablove Foundation ) Francine Gascon, 10, photographed Golden Globes host Seth Meyers and his wife Alexi Ashe.